Hello, File Path On Footer 1.4.7 released, Please update. 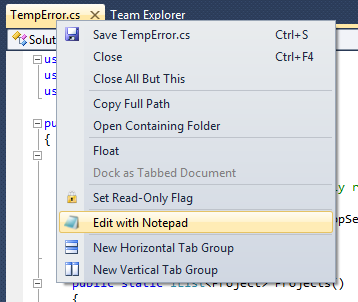 Integrated Color Picker 1.2 released for Visual Studio IDE. 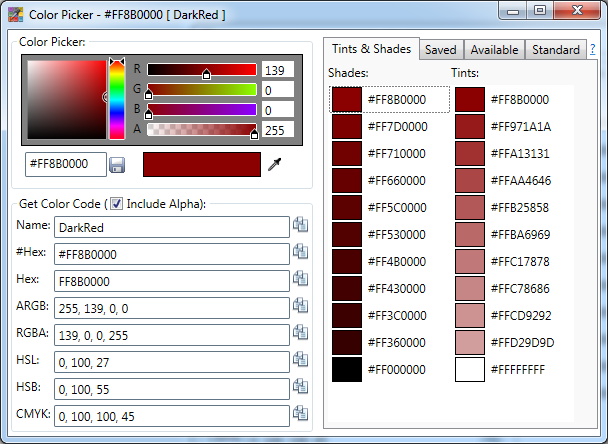 Color Picker version 1.2 released with HSL, HSB\HSV, CMYK color codes and Tints & Shades of the selected color. If you see the below UI, you will get an idea about the changes. Thanks Martin for the suggestions. Copy\Paste Color codes (Name, Hex, #Hex, RGBA, ARGB, HSL, HSB\HSV and CMYK). Read more from Color Picker Page.